This module contains script to be used on the Single Checkout Page. PLEASE DO NOT REMOVE. This message will only display within iCM and will not be published. 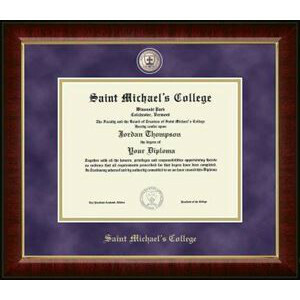 Church Hill Classics Masterpiece Premium Suede Mat featuring purple suede mounting as well as masterpiece medallion with the college seal. Shipping & handling is included in the price. This item is shipped separately and may be drop shipped from the manufacturer. Any other items purchased will incur separate shipping costs.